No, quantum gravity is a stupid pipe dream that would tell us nothing about the universe. Consider, likewise, the cutting-edge theory in physics that suggests that our universe is just one universe in a profusion of separate universes that make up the so-called multiverse. 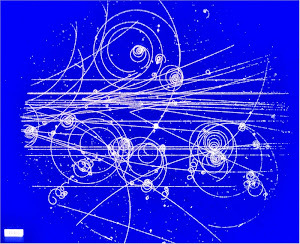 A current essay on Scientia Salon argues that string theory and many-worlds are legitimate science and not pseudoscience, even tho there is not likely to ever have any empirical evidence for either. This explanation of epicycles makes no sense. It says they were "imaginary" and "had no evidence", but also that the ancients saw them in the night sky. Ptolemy approximated the night sky view of planets as main circles plus epicycles. They are real in a sense similar to saying that the phases of the Moon are real. We see them in the sky. That is all Ptolemy meant. Saying that Ptolemy had no evidence for epicycles is like saying that he had no evidence for phases of the Moon. 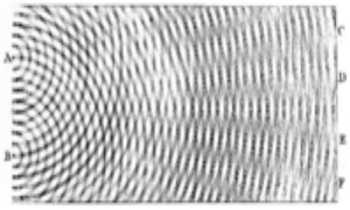 You could say that electrons are modern-day epicycles in that we have very good models for what we see in electron experiments, but not necessarily a deep understanding of what an electron really is. Superstrings are not like that at all. There is nothing relating theoretical superstrings to anything that is observed, nor is any such relationship likely in the future. That is a decent definition. Witten wants to say that even without definite empirical proofs, the mathematical properties of string theory make us certain that it is an incredibly tight, rich, and unique mathematical structure that seems to contain the ideas compatible with physics as well as many new structures and relationships that came as surprises and taught us to think about physical and mathematical concepts in new ways. This is just the faith of a true believer. There are lots of nice mathematical structures, from p-adic numbers to category theory, but they do not describe the structure of electrons. A lot of nice mathematics finds unexpected applications, so some of these things might be applied to physics, but it is nutty to think that electrons are based on 6-dimensional Calabi-Yau manifolds. “So,” you reason, “we’ll simply do our quantum field theory calculations in the background of curved space!” This is known as semi-classical gravity, and it’s this type of calculation that allows us to calculate things like Hawking radiation. But even that is only at the event horizon of the black hole itself, not at the location where gravity is truly at its strongest. As Sabine Hossenfelder elegantly explained, there are multiple physical instances where we need a quantum theory of gravity, all having to do with gravitational physics on the smallest of scales: at tiny distances. What happens, for example, at the central locations of black holes? You might think, “oh, there’s a singularity,” but a singularity isn’t quite so much a point of infinite density, but is more likely an instance where the mathematics of General Relativity returns nonsensical answers for things like potentials and forces. Black holes are not observable inside the event horizon. We can speculate about what is inside, but according to relativity, there is no way of every knowing. It is as impossible as going faster than the speed of light. The quantum gravity researchers are concerned with the center point of the black hole, where there is supposedly a singularity with infinite density. Or maybe the matter does not collapse all the way, because of very high energy interactions that are not understood. Or maybe God is hiding in there. Believe whatever you want, because physically it is a meaningless question. Crackpot here again, delete my posts away again. Why all the QUANTUM HYPE? Forget string theory, it really applies to QT. Because state collapse is an assumption tacked onto Quantum Theory. In the end though, something new has to come along to convert the potential into the manifest. There has to be something linked to the complexity of the measuring apparatus compared to the simplicity of a couple of particles. Decoherence is not it. It is not mathematically rigorous. Some form of active information is influencing the evolution of quantum systems. No breakthrough technological progress can occur until this is resolved. If Ed Witten is such a genius, why hasn't he completed Quantum Mechanics? He doesn't even know there is anything wrong with it. Todays physicists are terrible. Too much communism. And there is Peter Woit telling his flock to avoid the physics department altogether and head straight to pure mathematics. That is suicide. Look in your pathetic neighborhood, ...casinos everywhere. What are the old folks doing? Buying lottery tickets. The stock market? Just another corrupt casino. The energy transition? There is none. Good music? There is none. There are no rules, there is no fabric of society. Is this the culture possible for scientific progress? Nope. And its all because of Quantum Mechanics. Not that its wrong...that it is conceptually and experimentally incomplete. The hard divide between theoretical physics and mathematical physics is destroying both fields. Hell, pure mathematicians aren't even serious about the subject any longer. Where is the Henri Poincare of 2015? The world desperately needs a Poincare, not these attention seeking idiots like Sean Carroll or authoritarians like Lubos Motl. 2015 is a VERY dangerous time. There are aspiring Pol Pots who want the people to return to backward agrarian ways. And certainly the emperors of commerce seem to have little regard for fundamental science. Who shall be the scholars that keep things straight? You may be right about many things, except there is good music out there. Accept there is good music out there. For example Steven Wilson's 2015 release Hand.Cannot.Erase is good music. 2015 was an excellent year for brainy music. Quantum Mechanics has spawned a new culture. This new culture can be summarized as: ANYTHING GOES! How can you have a fabric of society when there are no rules. Apparently, its rational because our best and most experimentally verified theory, Quantum Mechanics, has an achillies heel...that is...a black box open to interpretation. Therefore, in our financialized economies, the invisible middle man can do whatever he/she pleases as well. Its perfectly legal. So the financial skimming at Goldman Sachs and 0% interest rates isn't a criminal enterprise, its god at work. Just like the QM magic box. The World will Burn with Unimaginable Fraud. But I expect the extremely difficult and costly experiments have no chance of being performed and the genius scientists cannot even scrape out an existence working on such a problem. The world is full of financial rackets, not Henri Poincares. The scientific complex is now a gaming system that rewards quantity, not quality. The scientific enterprise is now a very lonely endeavor.